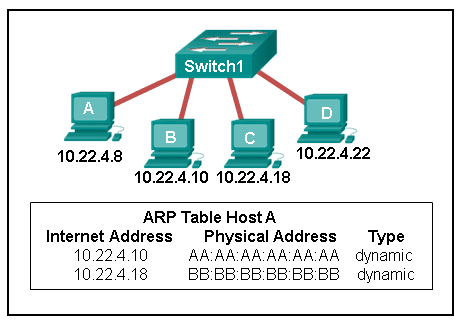 A network engineer is troubleshooting connectivity issues among interconnected Cisco routers and switches. Which command should the engineer use to find the IP address information, host name, and IOS version of neighboring network devices? Router R1 will forward the packet out Gig0/0. Router R1 will forward the packet out Gig0/1. Router R1 will forward the packet out S0/0/0. Router R1 will de-encapsulate the packet and encapsulate it in an Ethernet frame. 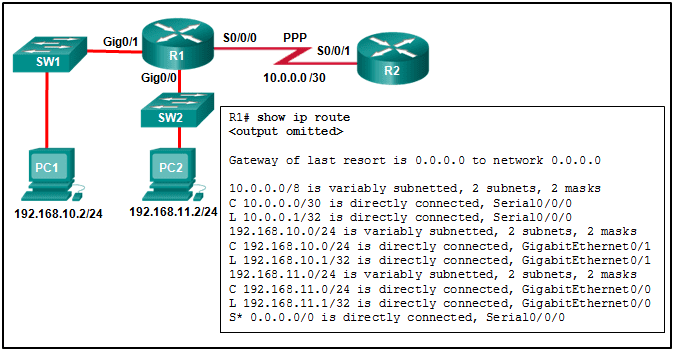 Router R1 will de-encapsulate the packet and encapsulate it in a PPP frame. Refer to the exhibit. What would happen after the IT administrator enters the new static route? The 172.16.1.0 route learned from RIP would be replaced with the 172.16.1.0 static route. 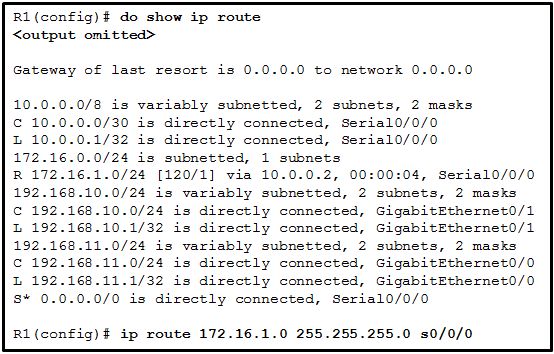 The 172.16.1.0 static route would be entered into the running-config but not shown in the routing table. The 0.0.0.0 default route would be replaced with the 172.16.1.0 static route. 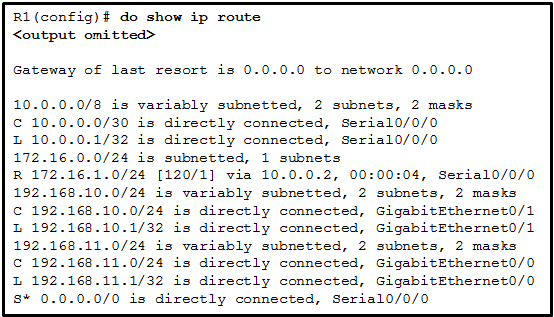 The 172.16.1.0 static route is added to the existing routes in the routing table. Refer to the exhibit. Which static route would an IT technician enter to create a backup route to the 172.16.1.0 network that is only used if the primary RIP learned route fails? Refer to the exhibit. 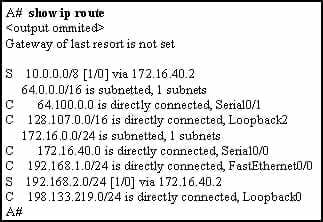 How was the host route 2001:DB8:CAFE:4::1/128 installed in the routing table? 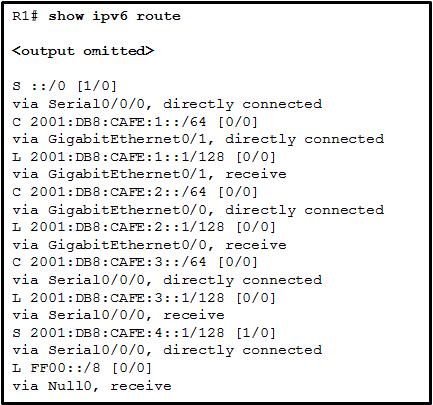 The route was automatically installed when an IP address was configured on an active interface. The route was dynamically learned from another router. The route was manually entered by an administrator. The route was dynamically created by router R1. Refer to the exhibit. What will router R1 do with a packet that has a destination IPv6 address of 2001:db8:cafe:5::1? What is the purpose of the overload keyword in the ip nat inside source list 1 pool NAT_POOL overloadcommand?